The John Carr Series consists of three trail races held on Wednesdays during May in memory of a former member of the club who tragically died aged 30. The race headquarters for registration, parking, toilets, etc. is Titus Salts school, Higher Coach Road, Baildon, Shipley BD17 5RH. The race start is a 2-3 minute walk away in the field behind the Roberts Park cricket pavilion. From Shipley take the A6038 Otley Rd. towards Baildon after crossing the river take the left turn on Green Lane (signposted Baildon Green / Shipley Glen Tramway). 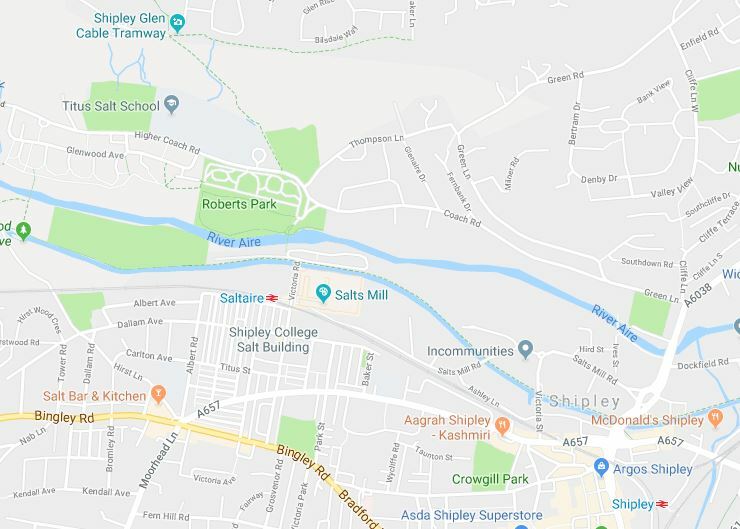 From Otley/Ilkley/Baildon head towards Shipley on the A6038 and take the right turn on Green Lane on the bend after the B&M store (of your left). Race 1 Wed. 1st May– 4m trail/fell race – circular route from near Roberts Park in Saltaire, over fields, tracks, woods & moor to Baildon Trig point and back. Race 2 Wed. 8th May – 5k flat trail race on riverbank/canal towpath. Race 3 Wed. 15th May – 3 x 3m trail relay (lap times will be included in series total).